When your kids are ready to get their education started, you need to totally support them. 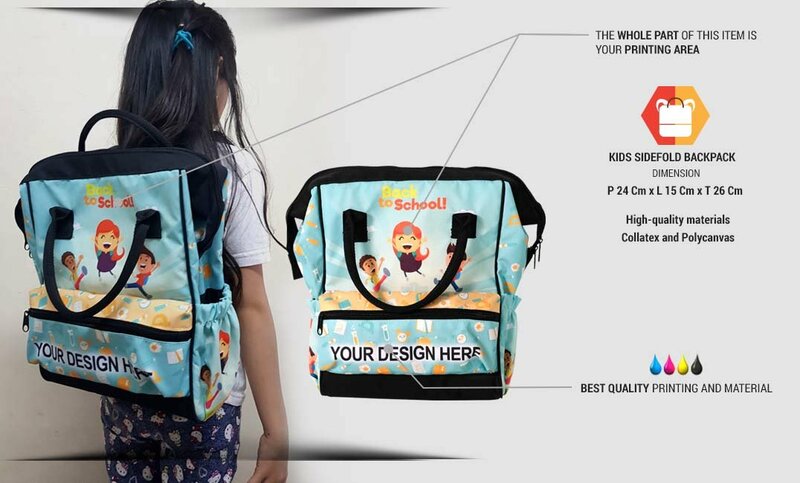 The backpack is the common and a must item for your kids to have. 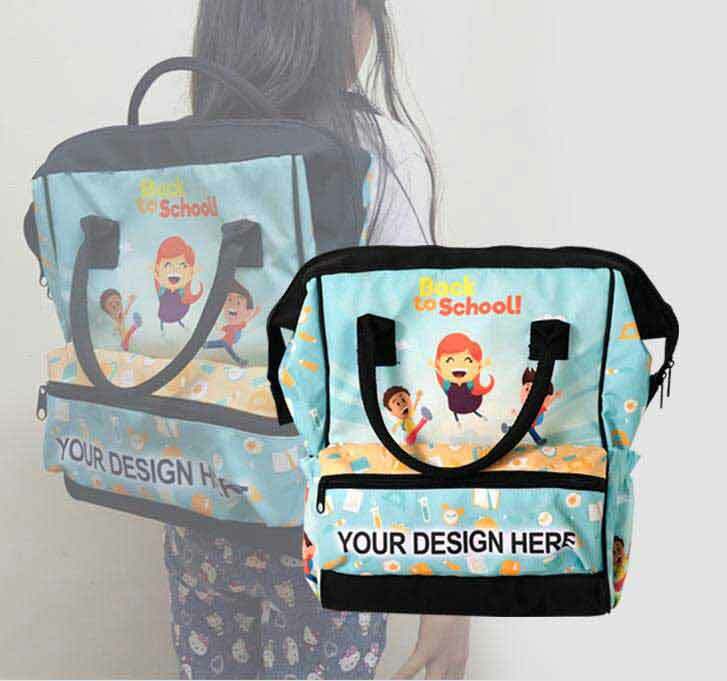 You can have a personalized design kids side fold backpack if you order from us. 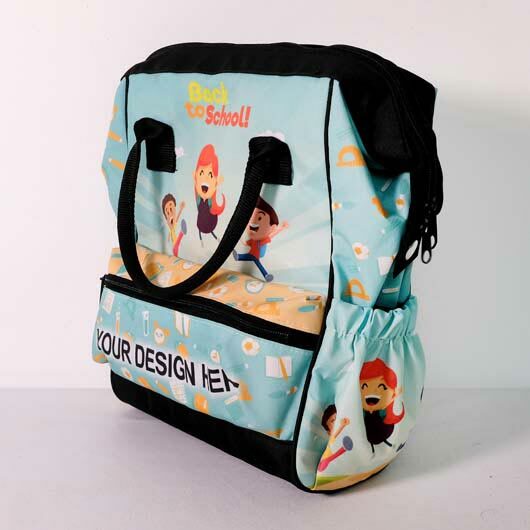 The bag is built up by the big main compartment which is completed with 2 (big and small) pockets inside and finished with a quality zipper. 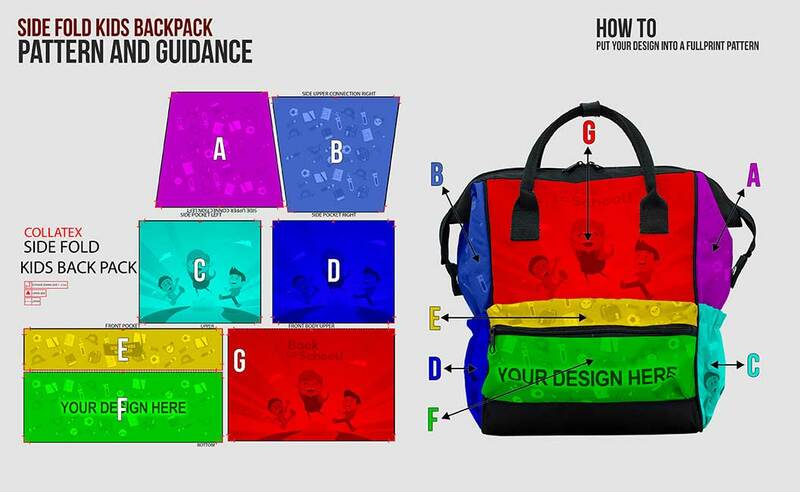 In front of the bag equipped with an additional single pocket with zipper for storing your small stuff. 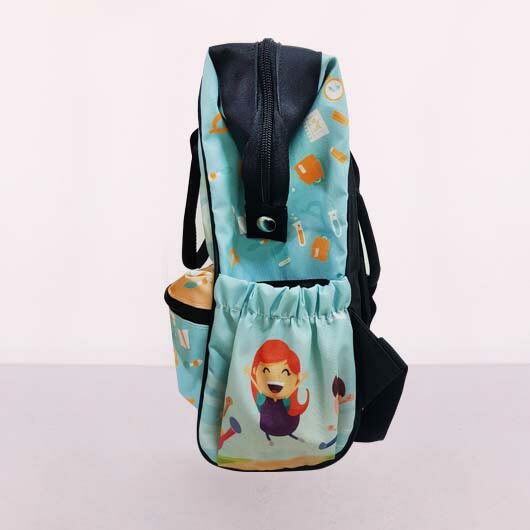 While at the back of the bag a pair of strong and durable strap ready to carry the weight of things you carry inside. 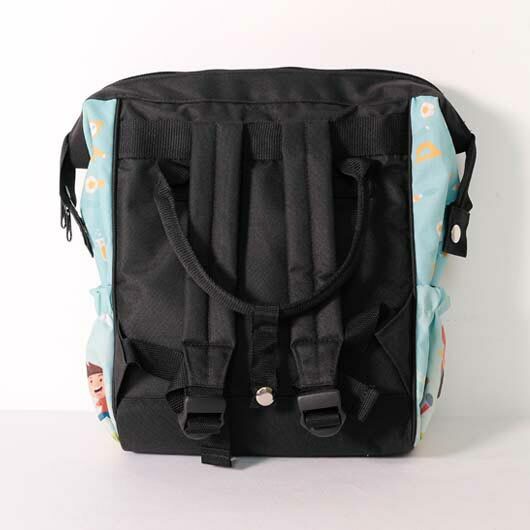 Moreover, another medium pocket also embedded on the back part of this backpack. 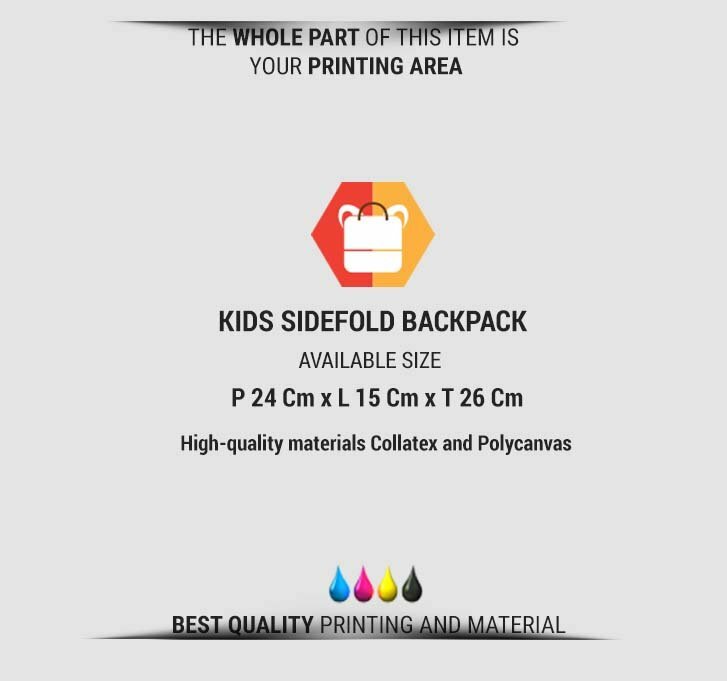 With dimension 24 cm width x 26 cm height x 15 cm thickness, the backpack is made of high-quality materials such as Collatex and Polycanvas. Collatex is Thick Polyester, fibrous and shiny with strong resistance. 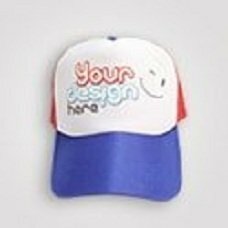 Polycanvas is Mix of polyester and cotton with a rough texture, doff colour printing, thick fibre, strong, and falling follows the body. 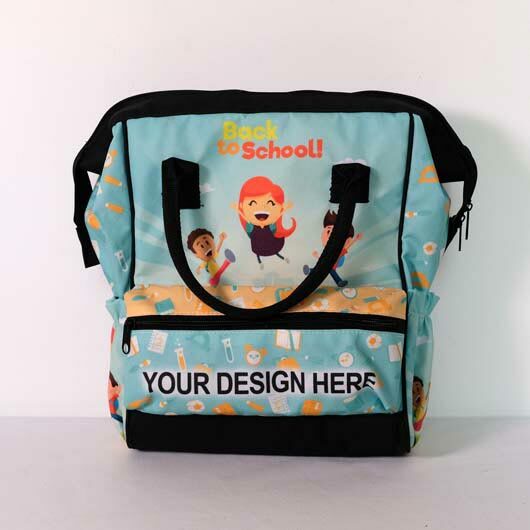 You may print your own custom design creation on the whole part of this bag. Get your printed today! 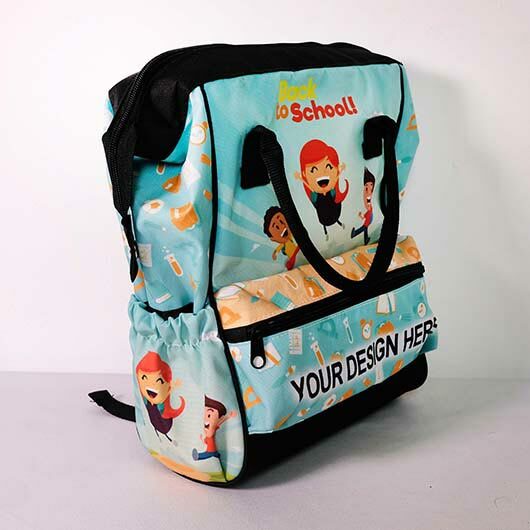 Mix of polyeser and cotton with rough texture, doff color printing, thick fiber, strong, and falling follows the body. Texture: Stiff. Thicker than Lynna and Harlon. Stiff. Thicker than Lynna and Harlon.